The only recommendation in this year’s report: Volunteer for the upcoming Atlas project. Photo by Julian Hough. News stories also appeared in the New Haven Register, Stamford Advocate, Greenwich Time, Danbury News Times and elsewhere. Hartford, December 1 – The Connecticut Audubon Society released its annual Connecticut State of the Birds report today and called on the state’s conservation community to throw its full efforts into supporting the upcoming Connecticut Bird Atlas, which promises to be the most important bird conservation research project ever in the state. The report is designed to be both a guide and a rallying cry for the Atlas, which is scheduled to start in spring 2018. Click here to learn more about training and volunteering! A three-year project, the Atlas will result in the collection of a vast amount of new and updated data about where Connecticut’s birds live, the locations of prime habitats, and changes in bird distribution since data were collected in the mid-1980s for the last Connecticut atlas. Because birds and bird habitat are excellent proxies for valuable conservation land, the Atlas has the potential to be an essential decision-making tool for municipal planners, state regulators, conservationists, developers, and others. The organizers and main sponsors of the Atlas project are the Connecticut Department of Energy and Environmental Protection and the University of Connecticut. Because of the project’s importance, the Connecticut Audubon Society planned the articles in this year’s Connecticut State of the Birds report to explain how the Atlas will be organized, how it will benefit conservation efforts, and why participating in it is crucial to the state’s future. The report is sent to all Connecticut Audubon members. To encourage as many birders as possible to participate in the Atlas project, Connecticut Audubon provided an additional 500 copies to the Connecticut Ornithological Association. Read highlights of the news conference here. 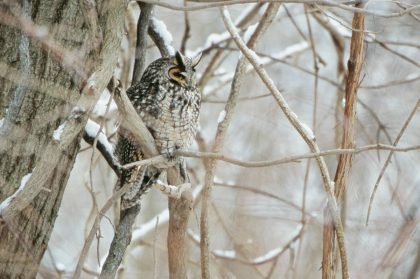 The Connecticut Bird Atlas will help find where secretive birds such as Long-eared Owls nest and roost. Photo by Paul J. Fusco. At a news conference in Hartford, Patrick Comins, Connecticut Audubon’s executive director and author of one of the report’s articles, said: “This Atlas is something I’ve been talking about for more than a decade. It will help us make better conservation decisions and justifications for protection of key parcels. The other authors of articles in the report are CT DEEP Commissioner Rob Klee (“The New Atlas Will Bring Our Knowledge of Connecticut’s Bird Life Up-to-date”); Milan Bull, Connecticut Audubon’s senior director of science and conservation (“It’s Your Project!”); Prof. Chris S. Elphick, of the University of Connecticut’s Department of Ecology and Evolutionary Biology (“Using Science to Conserve Birds”); Stephen P. Broker, president of the Connecticut Ornithological Association (“Volunteering for the First Atlas”); Min T. Huang, CT DEEP wildlife biologist (“Wise Use of Conservation Funding Demands a Foundation of Sound Science”); Randy Dettmers, senior migratory bird biologist of the U.S. Fish and Wildlife Service (“A Regional Perspective”); and Daniel Brauning, wildlife diversity chief of the Pennsylvania Game Commission (“How Breeding Bird Atlases Can Lead to Conservation Improvements”). 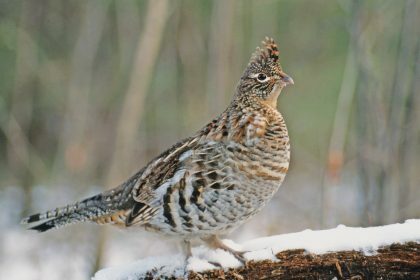 Ruffed Grouse are far less common than in the past. The new Atlas will help determine just how uncommon they are. Photo by Paul J. Fusco. In his article, Prof. Elphick explained how the Atlas’s field work and computer modeling will help guide conservation decisions. “If our models tell us that certain species are consistently unlikely to be found near roads even when the habitat is otherwise suitable, then that information could be used to guide road-building projects. Similarly, if our models help identify a set of conditions that is consistently linked to the occurrence of a given species, then we can use that relationship to identify undiscovered places where the species might occur. In other studies, this approach has been used to find new populations of rare species. “Although the Connecticut atlas will rely more on modeling than has been typical in prior bird atlases, its success will still depend largely on the time invested by members of the Connecticut birding community. Field observations are crucially important both for building good models and for checking that the models produce good information. Without knowledgeable birders producing a large body of high-quality field observations, even the most sophisticated data analysis will come up short. The Atlas will help show whether maps like this, which predict the occurrence of Red-bellied Woodpeckers based on modeling, need to be updated. Here, the warmer colors indicate where the woodpeckers are more likely to occur. 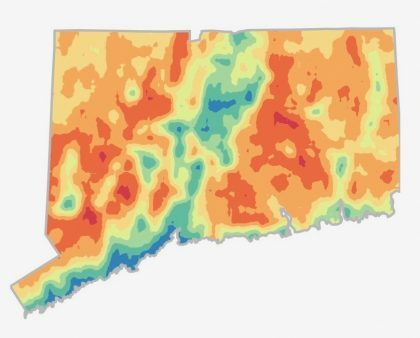 This map and the other predictive maps in the Connecticut State of the Birds 2017 report are by Valerie Steen et al., University of Connecticut. Connecticut Audubon hopes to have as many of its 19 sanctuaries as possible included in the areas surveyed by the Atlas. 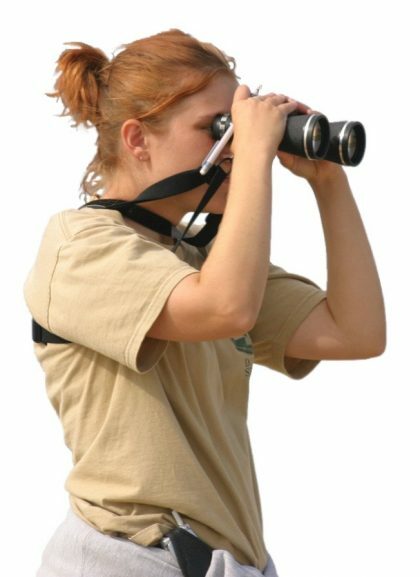 Connecticut Audubon is also scheduling training and information sessions for Atlas organizers and participants. Sessions are scheduled for Tuesday, December 12, at 6:30 p.m., co-hosted at Great Hollow Nature Preserve & Ecological Research Center, in New Fairfield; and Monday, January 8, at 7 p.m., at Connecticut Audubon’s Center at Pomfret. Additional sessions are being arranged.